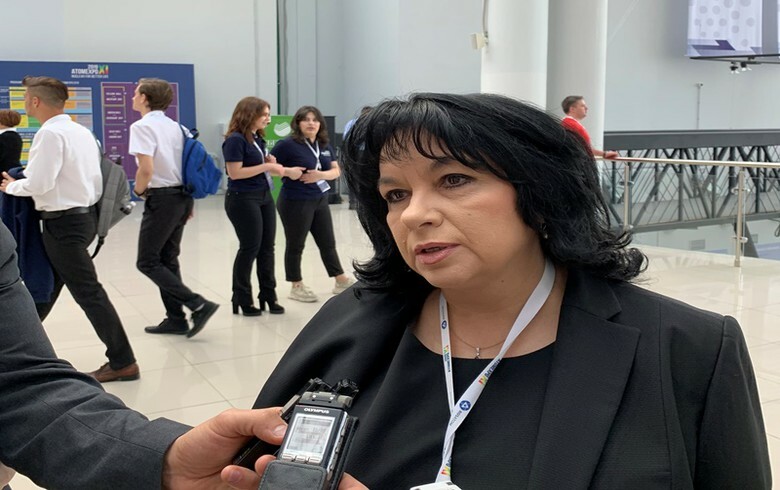 SOFIA (Bulgaria), April 15 (SeeNews) - French nuclear energy business Framatome is preparing to take part in Bulgaria's procedure for selection of a strategic investor in the project for construction of Belene nuclear power plant, the Bulgarian energy ministry said on Monday. The French company is is currently determining the scope of activities which it could carry out under the project, Frederic Lelievre, senior executive vice president of Framatome, has said during a meeting with Bulgarian energy minister Temenuzhka Petkova at the annual Atomexpo international nuclear power industry forum in Sochi, Russia, according to a press release issued by the energy ministry. In June 2018, Bulgaria's parliament mandated Petkova to seek potential strategic investors willing to build a nuclear power plant in Belene, on the Danube river - a project abandoned since 2012 which the government aims to revive. According to the decision, the project should be implemented on a market basis and without Bulgarian state guarantees. Bulgaria would only participate in the project company through a non-monetary contribution - the reactors and other equipment already manufactured plus the construction site and the respective licences. Last month, the energy ministry launched the procedure for selecting a strategic investor in the NPP project. The deadline for submitting expressions of interest is the 90th day following the publishing of the invitation in the Official Journal of the European Union, which is expected to take place next month, the ministry said. The procedure envisages inviting expression of interest, to be followed by applications from interested parties, submission of binding offers and negotiations. The indicative term for structuring the project and choosing a strategic investor is 12 months, Petkova said, according to the press release. Petkova also said that Bulgaria has also invited Balkan neighbours North Macedonia, Serbia and Montenegro to take part in the procedure. Framatome designs, manufactures, and installs components, fuel and instrumentation and control systems for nuclear power plants and offers a full range of reactor services.